"Celebrating 85 years as Chicago&apos;s best kept secret!!" reads the doubly exclamatory crawl across the bottom of Filbert&apos;s relatively new website—but that&apos;s not quite true. 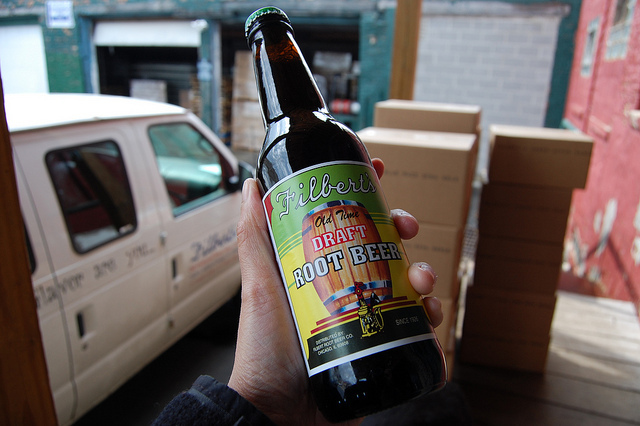 Filbert&apos;s has been making their Old Time Draft Root Beer since 1926 in Bridgeport—that&apos;s 86 years. Under the fourth generation hand-on ownership of Ron Filbert since 1988, the company not only makes but bottles their beverages. He bought the bottling shop in 1993, and now produces not only their famous root beer, but 25 flavors in all. 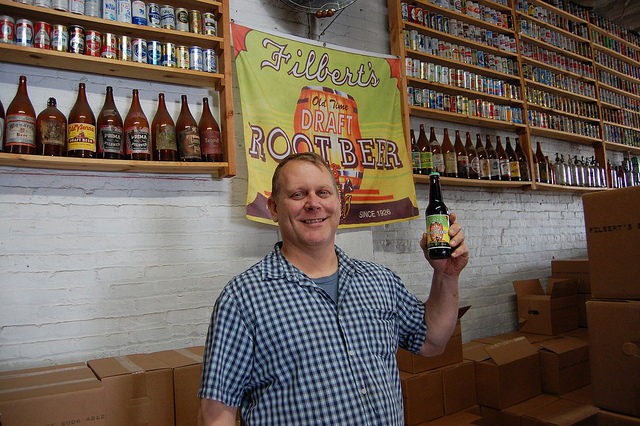 "We&apos;re the only bottle in the city who has an owner&apos;s name on the label," said Filbert, "that&apos;s a lot of pride and satisfaction." About a dozen accounts still serve the root beer on draft, including Barnaby&apos;s of Northbrook—the Northbrook location only—and Bishop&apos;s Chili. "A barrel takes up a lot of space," said Filbert, "and it has to be refrigerated. Most places would rather serve beer on draft and make more money on that. But we sell a lot of barrels in the spring, summer, and fall for picnics." 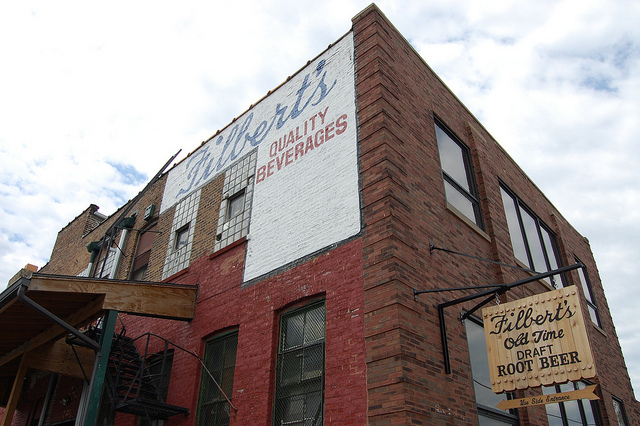 Filbert keeps a beer can collection on the walls of the warehouse, but nothing dates back to his great-grandfather George who started the company in the early 1900s, and making root beer during Prohibition. "We had a fire in &apos;84 that destroyed all the history we had. Everything we have we created in the past 20 years." The can collection is empty, but not all by drinking. He said there was a time when you could write companies asking for empty, sealed cans. "We used to have root beer in cans," said Filbert, "but with what&apos;s happened with the industry—with minimums and raised pricing...I&apos;ve got a couple around here, but they&apos;re empty. They&apos;re aluminum and I don&apos;t want them to be ruined. If something got on the outside, over time they would leak." The warehouse is open Mondays through Fridays, 9 a.m. to 5 p.m.; Saturdays 9 a.m. to 1 p.m. You can get the informal tour then. But if you want a barrel you need to pre-order. They make them up fresh to order. What does Filbert call his product I wondered? "Carbonated beverages," he said. But what about the old "pop" or "soda" question? "Sometimes I call it soda. Sometimes I call it pop." Whatever you call it, Filbert&apos;s is not a secret you need to keep.